Oct 01, 1999 in "Epcot International Festival of the Holidays"
The music and the story are both familiar when Epcot presents the Candlelight Processional Nov. 26 through Dec. 30. A Walt Disney World tradition now in its 29th year, the Candlelight Processional is a stirring presentation of the Christmas Story in readings by celebrity narrators and music by a massed choir and 50-piece orchestra. 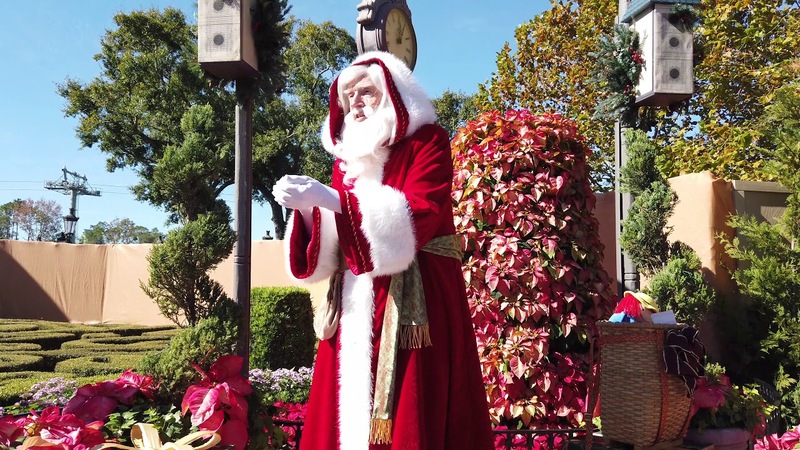 Performances are at 5, 6:45 and 8:15 p.m.
Special dinner packages that combine fine dining at select Epcot restaurants and preferred seating for the Candlelight Processional are available by calling 407/WDW-DINE. The Candlelight Processional is part of Epcot's international holiday celebration, Holidays Around the World, featuring musical groups, choirs, special holiday lights and fireworks extravaganza, storytellers, puppet shows and decorations galore from Nov. 26 through Dec. 30. Lights of Winter, a shimmering canopy created by thousands of crystal-white lights along the promenade to World Showcase Plaza. A brightly decorated, 65-foot tree adorning World Showcase Plaza that becomes a center of attention when Epcot guests participate in a tree-lighting ceremony daily at 6:15 p.m.
Hanukkah, Ramadan and Kwanzaa exhibits and information presented in the American Adventure. 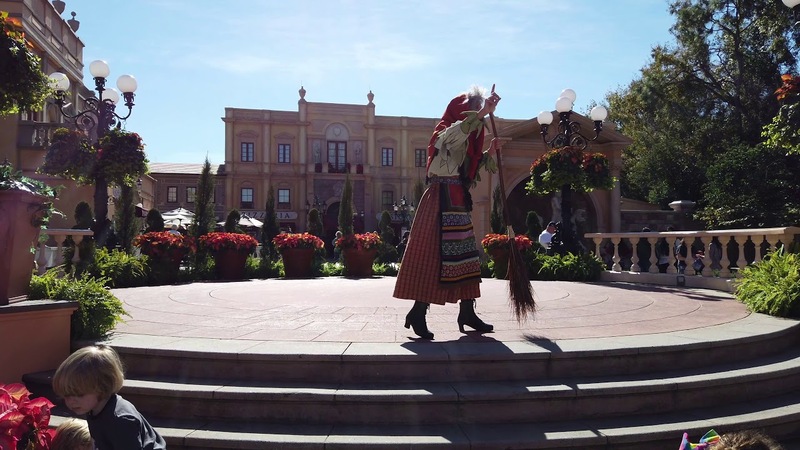 Cultural traditions surrounding winter holidays retold by colorful storytellers at all 11 World Showcase pavilions -- such as The Three Kings in Mexico, Taarja in Morocco, the Monkey King in China, Pre Noel in France, Santa Claus in Canada. Kasperle's Christmas puppet show at Germany showcase, in which the wily servant Kasperle helps Princess Bratwurst be good for a day, foiling Santa Claus' nemesis, Bad Peter. 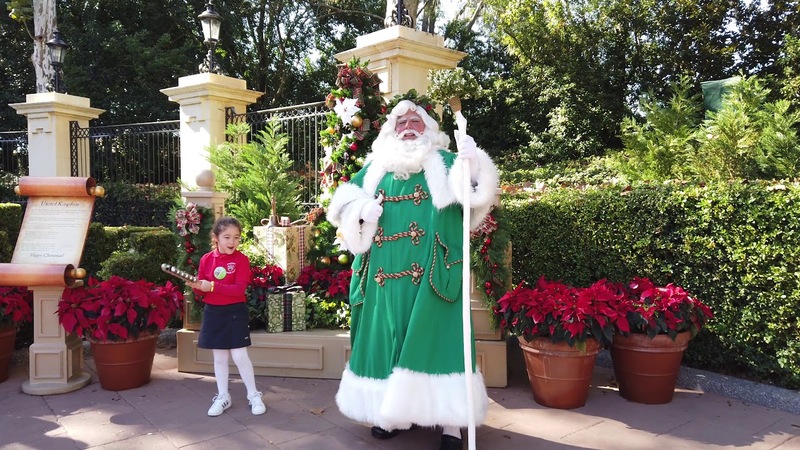 Kidcot Fun Stops throughout World Showcase featuring activities themed to the holidays for younger children (TIP: Kids should make sure to pick up a copy of the Holiday Discovery Guide when they enter Epcot).